A man repeatedly punched his twin brother in the head on two occasions and kicked him following arguments, a court heard. Michael Taylor, of South Hey, Leigh hit his sibling Andrew Taylor, a father of two, five times in the face, before kicking him when a row over an e-cigarette exploded into violence. The first of the beatings occurred at the defendant’s home address on November 25 last year. Wigan and Leigh magistrates heard that the 30-year-old then launched another attack on his brother less than a month later, this time at a pub, after his victim told him he had drunk too much. Taylor pleaded guilty to both assaults by beating when he appeared in the dock. The court heard that he told police in interview that his sibling “would not leave him alone” and continued to mention to him the amount of alcohol he had drunk. This eventually angered him to the point where he punched his brother multiple times in the head. No fractures were caused by the vicious blows, although the bench was shown pictures of severe bruising to Andrew’s face as a result. Prosecuting, Beth Pilling read an impact statement from Taylor’s twin who was not present at the hearing. It said: “We used to have a good relationship, but now he drinks a lot and things like this happen. “I am really scared of him, and because of the damage done to my face I can’t make plans to go and see my children, who I don’t want to see me looking like this. 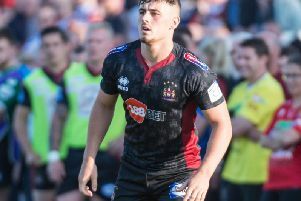 Wigan justices handed Taylor a community order of 240 hours’ unpaid work. He must also pay a victim surcharge of £85 and court costs of the same amount. However justices decided not to impose compensation costs. They thought they would inflame the situation due to the likelihood of the brothers having to see one another.